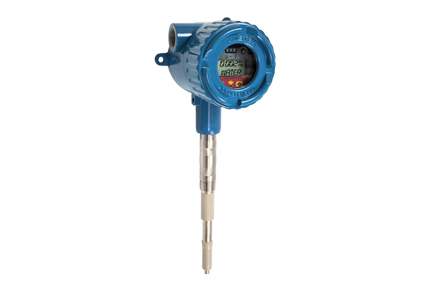 The Universal IV Cut Monitor (CM) Continuous Level RF Transmitter is a Water Cut Monitor that is built upon 50 years of applications expertise with RF Admittance. The Universal IV CM has a range of 0-50% in light oil and 0-80% in heavy oil. Our probes can handle pressures up to 1500 PSI and temperatures up to 450°F. Approved for Class I, Div1, and Zone 0 hazardous locations. FM, FMc, ATEX, as well as IECEx approvals are available. Perm-A-Seal sensing element does not require epoxy coatings that wear out and require expensive servicing. Electronics ignore paraffin and other coatings that buildup on the probe. Proven Cote-Shield is designed into the Universal IV CM series and enables the instrument to ignore a pre-determined length of the sensing element.